Frederica shares with us the special prayer entitled "Akathist to the Mother of God, Nurturer of Children." Frederica reads the children's book Yellow and Pink by William Steig. 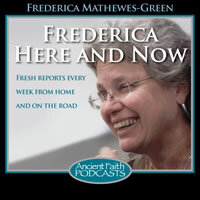 Frederica introduces us to St. Matrona the Blind and reads her akathist hymn.